The key to effective weight loss is following a few simple, straightforward guidelines. If you adhere to the guidelines long enough, you will begin to alter the way you think about losing weight and weight management. Instead of worrying about your diet and the number of calories contained in every meal or how much you have to exercise to lose existing pounds, things will begin to become second nature. You will choose healthier foods without having to think about it and exercising will not be so much of a chore. When you visit Dr. Urshan’s weight loss center, the program is designed for you will attempt to accomplish two things. The first is to help you lose unwanted pounds. The second is to help you begin to live a healthier, more fulfilling lifestyle. The goal is to change the way you think about food and exercise and create new lifestyle patterns that will help you keep the extra pounds off. ​If you are interested in weight loss, contact Dr. Urshan’s office today. 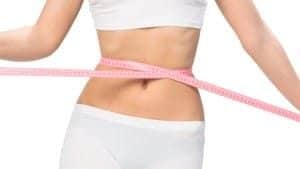 Learn how a medical weight management program can help you lose weight and keep it off permanently For nearly 30 years, he has been helping people in St. Petersburg, Clearwater and the surrounding areas lose weight.